The Dharmic Office of Public Affairs (OPA) seeks to affirmatively influence public opinion and expand awareness about the legacy organizations of the Siri Singh Sahib, build and maintain a positive reputation for our organizations, and build solid relationships with the Indian Sangat, the yoga community, the media, and the general public. Shanti Kaur is a wife, mother and business consultant who brings Khalsa values to every aspect of life. She is an engaging Sikh teacher and her involvement with Sikh youth has led to mentoring young people around the world. Shanti spent more than twenty years studying with Siri Singh Sahib Bhai Sahib Harbhajan Singh Khalsa Yogiji who inspired her on the path of Sikhism. 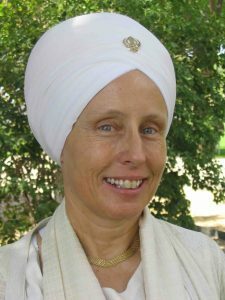 She is an active kirtania and has traveled widely giving inspirational kirtan and lecture programs. Sada Sat Simran Singh was born into a Sikh family in Great Falls Virginia. He has been a member of 3HO since birth and grew up in the community in Northern Virginia. He went to Miri Piri Academy in India at the age of 9 and attended until graduation in 1999. He was School Captain and taught Gatka (the Sikh martial art) as a senior student. After graduating from MPA, the Siri Singh Sahib sent him back to Amritsar to further study Sikhism and learn Punjabi and Gurmukhi, Gurbani Kirtan and Sikh lifestyle. He would do Seva in the amrit vela (2 and half hours before the sun rises) at the Siri Harimandir Sahib, the Golden Temple by washing the par karma with the Sangat, making chapatis, and cleaning the inside of the Golden Temple and the Akal Takhat. After meeting his Ustaad ji, he spent most of his days playing music and serving his teacher. 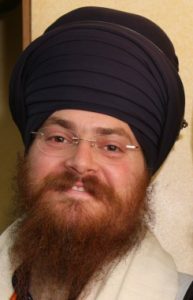 As a member of the Chardi Kala Jatha, Sada Sat Simran Khalsa has had the honor of traveling all over the world to perform music, to teach the ancient musical meditative practice of Gurbani Kirtan and Naad Yoga as well as Kundalini Yoga and Martial Arts The Chardi Kala Jatha have been blessed to perform kirtan inside the Siri Hari Mandir Sahib, the Golden Temple, in Amritsar many times in the last 10 years.